Onstage This Week: Justin Peck World Premiere at Houston Ballet, Aspen Santa Fe Ballet in NYC, and More! Justin Peck rehearsing his new ballet, Reflections, with Houston Ballet. Lawrence Knox, Courtesy Houston Ballet. Boston Ballet Presents George Balanchine's "Coppélia"
Pacific Northwest Ballet's Seth Orza and Noelani Pantastico in Balanchine's "Stravinsky Violin Concerto." Angela Sterling, Courtesy PNB. It's rare for a professional ballet career to extend two decades or more. But there are indeed dancers who've been gracing the studio and stage for that long—learning, adapting and growing along the way. 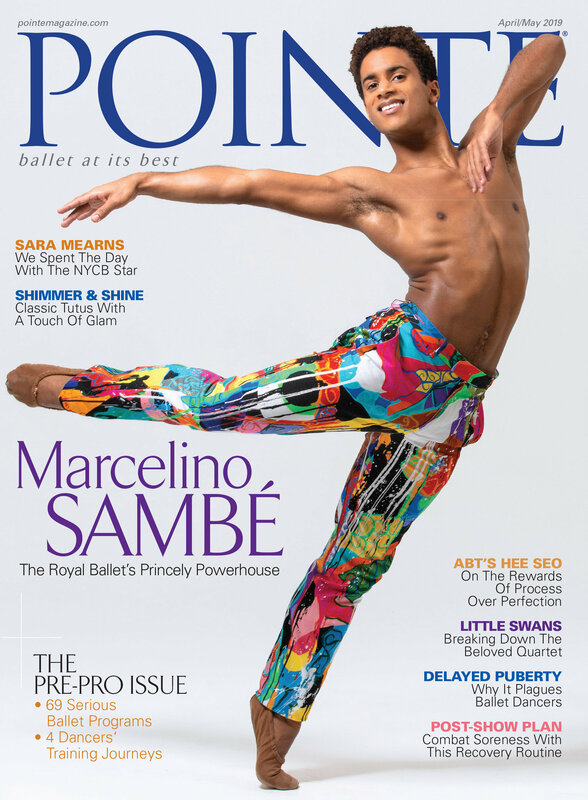 Today, Pacific Northwest Ballet's Noelani Pantastico, National Ballet of Canada's Guillaume Côté and Ballet Memphis's Crystal Brothers reveal what physically, artistically and emotionally sustains their careers. What physically helps you sustain your career? Guillaume Côté in Balanchine's "Apollo." Cylla von Tiedemann, Courtesy NBoC. What mentally and emotionally helps you sustain your career? Noelani Pantastico in Jean-Cristophe Maillot's "Roméo et Juliette. Angela Sterling, Courtesy PNB. How has your technique evolved over time? Guillaume Côté. Karolina Kuras, Courtesy NBoC. How has the artistic side of your dancing evolved? Crystal Brothers in Mark Godden's "Midsummer Night's Dream." Andrea Zucker, Courtesy Ballet Memphis. Onstage This Week: New "Anna Karenina" at the Joffrey, "Firebird" World Premiere at Ballet Arizona, and Much More! Win a Pair of Tickets to Ballet Memphis' "Nutcracker"
Photo by Louis Tucker, Courtesy Memphis Ballet. Enter now to win a pair of tickets to see Ballet Memphis' Nutcracker on December 7 at 7:30 pm at the Orpheum Theatre in Memphis, TN. Onstage This Week: Boston Ballet Celebrates Jerome Robbins, Island Moving Company Performs "Peter Pan" Ballet on a Ship, And More! Boston Ballet in Jerome Robbins' Fancy Free. Photo by Gene Schiavone, Courtesy Boston Ballet. These three current professionals opened up about opting for a degree first, how it impacted their careers and their favorite college memories. Growing up, Dara Oda knew she wanted to dance professionally, but she didn't feel ready to audition at the end of high school. "It was really easy to think of college as a fallback," she says. But her perception soon changed. "When I went to Belhaven and saw the level of training I would be getting, that encouraged me to pursue my dream but also be proactive and get my degree at the same time." Eileen Frazer with Jonathan David Dummar in "The Nutcracker." Photo by Louis Tucker, Courtesy Ballet Memphis. And 5,6,7,8... The countdown to the New Year is on! Here's a peak at what five dancers from around the country are aiming for in 2018. 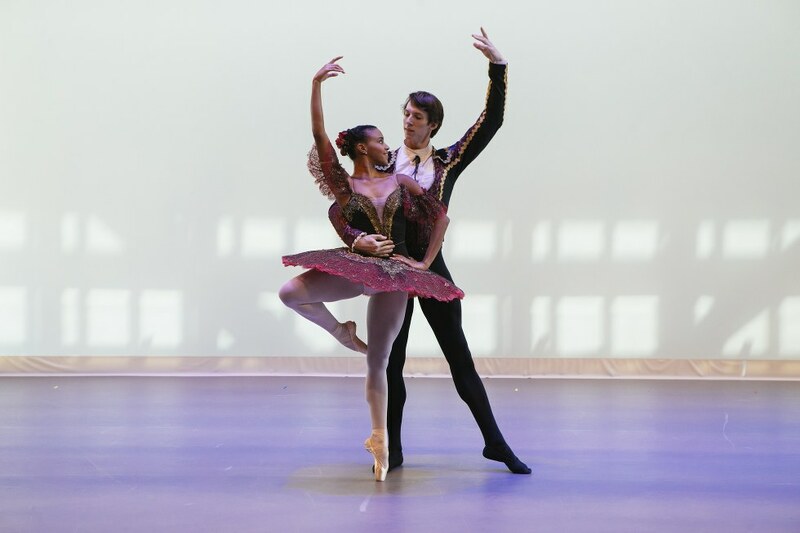 Eileen Frazer with Brandon Ramey in "Don Quixote". Photo by Louis Tucker, Courtesy Ballet Memphis. Mindfulness: It's easy to get lost in perfectionism and the stress that comes with this career path. I want to remember to enjoy every performance and be fully present in experiences that come my way. Be bold: I also want to dare to be bold, further develop the qualities that make me who I am as a dancer and find different ways to share my personality and experiences through the art form. Family: Since I'm from Panama, I likewise want to keep nurturing my relationships with my family and friends. Koki Yamaguchi. Photo by Colton West Photography, Courtesy Eugene Ballet. Strength training: My dance resolution is to improve my technique with strength training and stretching. (Physical) growth: As a short dancer I'm always trying to be larger in my movements. Peer inspiration: I'd also like to learn new things by watching other company dancers such as Hirofumi Kitazume who performs dynamic jumps like the double revoltade and 540.